There was a time, not too long ago, before talk turned to fake news, algorithms, and influencer campaigns. Algorithms maximise monetisation and this has changed our relationship with social media. We are moving into a future of digital that includes machine learning, artificial intelligence, augmented reality, and an understanding that fake news isn’t going anywhere. We have lost the social part of social media as brands take center stage. Now is the time to put the social back into social media, turn it up a gear, and get ahead in the current digital landscape. 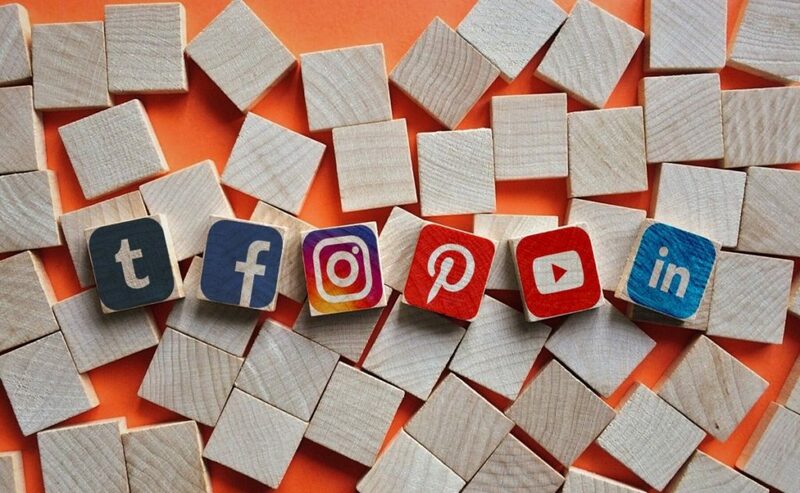 In today’s social media fuelled world, you need to cut through the content clutter to find the tasty bites that really mean something, that you are interested in, and that are accurate. We need to use the power of social media to allow audiences to stay in touch with what matters. Hyper-relevant targeting and content is key in telling brand stories in a super noisy social world. Remember the social aspect of social media and where you started your digital journey. We are all busier than ever in an exceptionally fast paced world. We seldom have the time we want to dedicate to our current and new social relationships. We all want to maintain, develop, nurture, and cultivate personal and professional relationships. Our social feeds should be about more than creating FOMO moments and what that the mainstream media serves up on a daily basis. When social media is used correctly, it assists in building and maintaining some of the most important relationships we will ever have. Social media can help us maintain relationships, cultivate new ones, and make us feel good about ourselves and the world around us. These are all important aspects to consider when creating content for your brand. ocial media networking and engagement can be narrowed down to engagement which is friending, following, commenting, liking, sharing, and messaging. These can be considered as social gold, and even more so for brands. The everyday social media user like to feel that they are communicating with a person and are more likely to engage with brands when they are able to connect with. If you are simply clicking publish and hoping for the best, you are doing it wrong. So, the question is, how do brands create more socially oriented and relevant content that keeps followers and fans engaged? Visuals That Are Truly Accessible: Publishers are reporting that as much as 85% of video content is viewed with the sound off, subtitles should be a no brainer. Choose The Right Platforms: No two platforms are the same and each of them offers something unique to consumers, brands, and social butterflies alike. For example, one wouldnt use Instagram to get your daily dose of the news, or visit Linkedin for your entertainment fix. It is important to consider what the different platforms are predominately used for and the audiences that they attract. Consider where and how your target audience are most likely to engage. Facebook: Hosting a variety of content and media formats, Facebook has the highest number of active users across social platforms. There is a massive potential for sharing and community building that is unmatched by most other platforms. Instagram: This platform is completely image and video driven. It is fantastic for brands which have and a strong visual identity. Instagram is an actively social and perfectly informal environment that encourages engagement. Twitter: This social platform is suitable for delivering immediate and time sensitive news and information. The strategic use of hashtags generates engagement. LinkedIn: The leading business related social network with news feeds that boast the user generated best B2B content. This social platform is ideal for sharing content that positions businesses as leaders in their field while creating brand authority. Establish Your Objectives: First thing’s first, consider the journey your user takes after viewing your social content. Keep in mind, the social side of social media. There could be a range of ideal reactions including sharing, commenting, taking action, following, purchasing, considering, and being more informed. People are more likely to continue the user journey if you keep it simple and ask them to do only one thing. Stick to the bare minimum in order to make it as easy as possible for people to follow your intended user journey. A post that poses a question has a clear call to action: to comment or subscribe. Know your objectives to create engaging content. To produce measurable digital results for your brand amplify your social media efforts. So Interactive is a digital studio based in Johannesburg, South Africa, and a leader in the digital arena specialising in social content. Get in touch for your social and video needs.